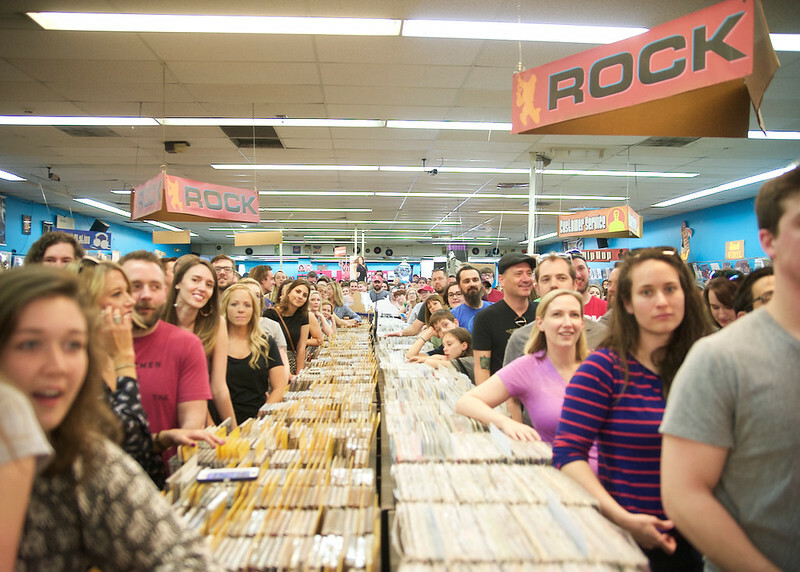 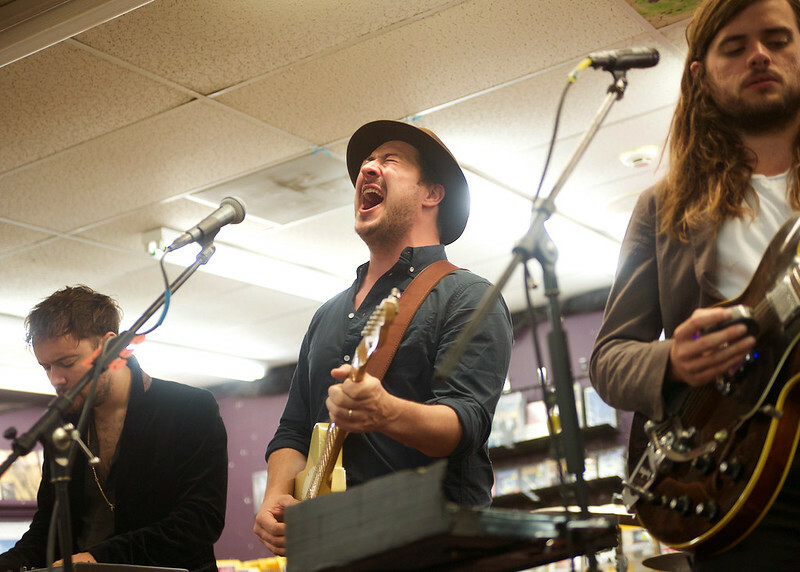 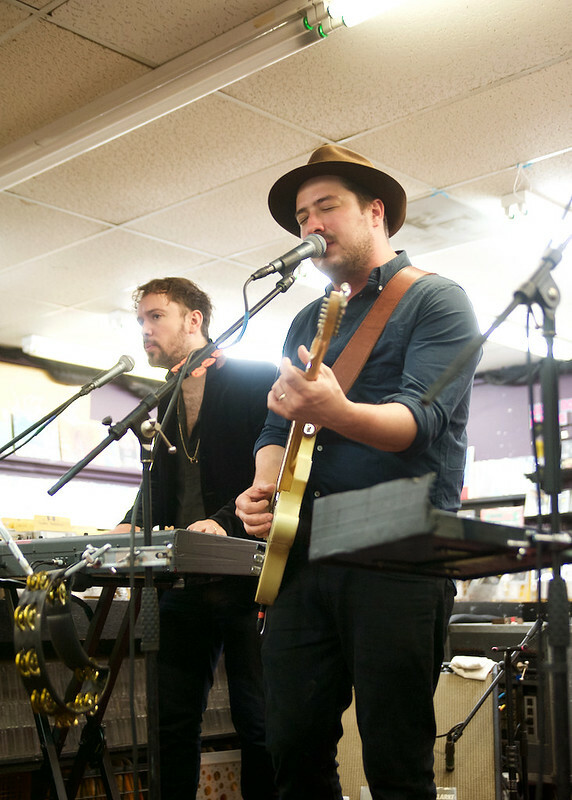 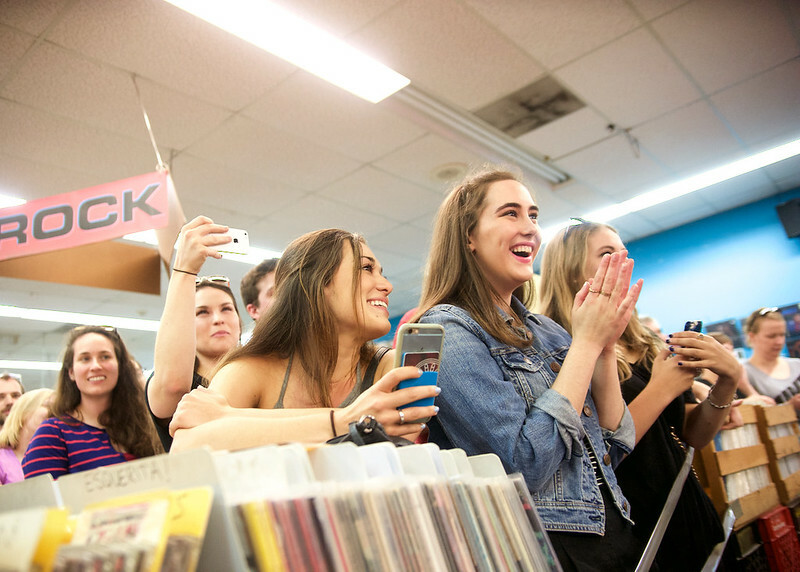 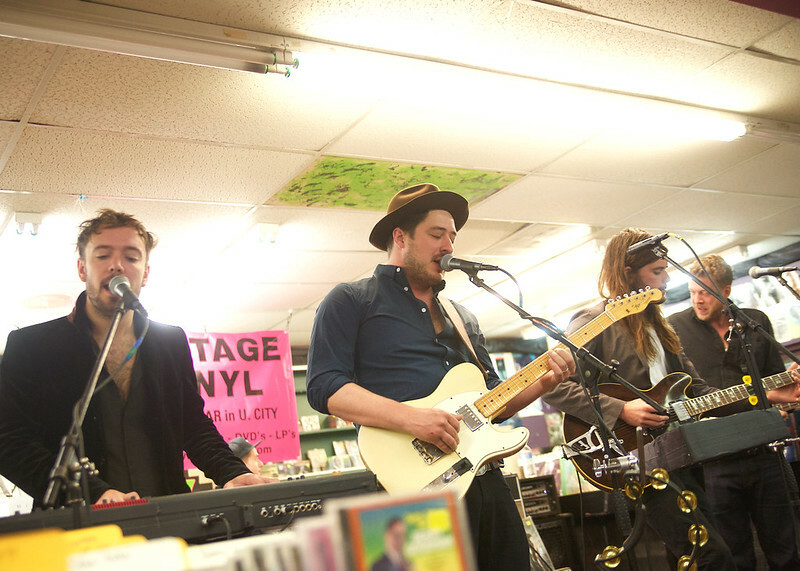 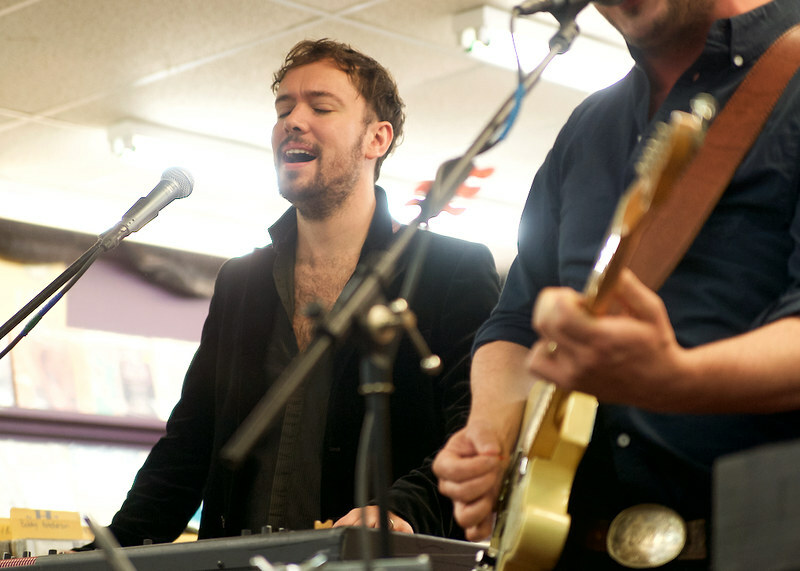 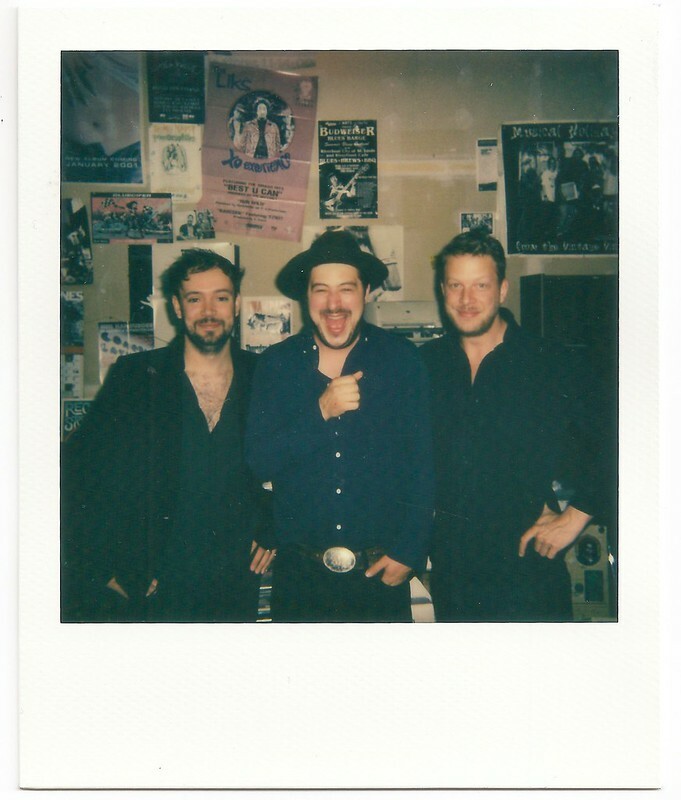 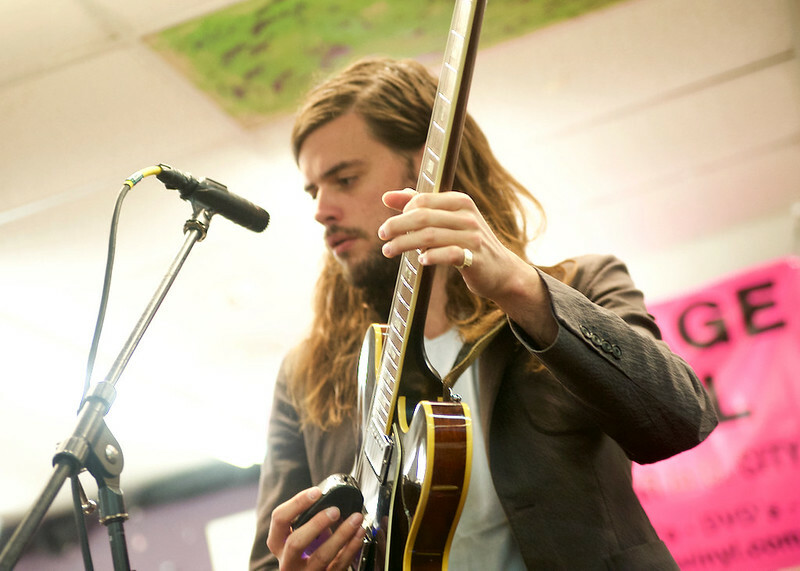 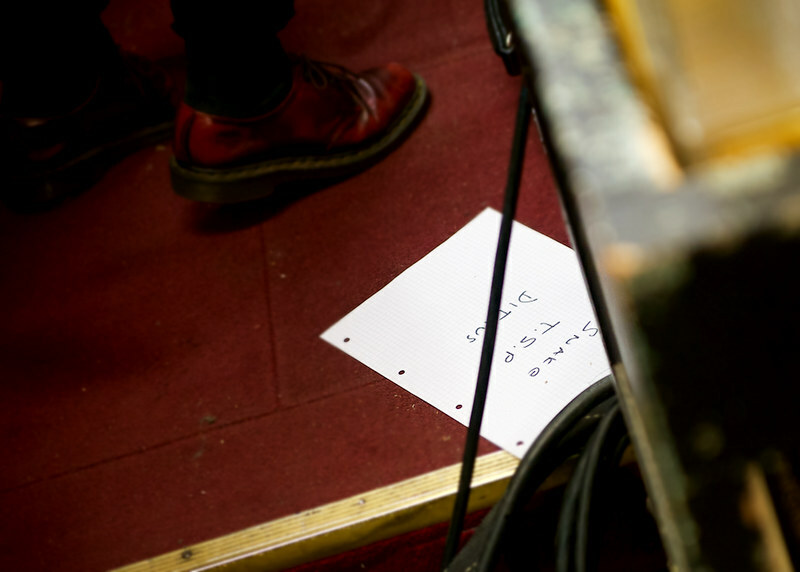 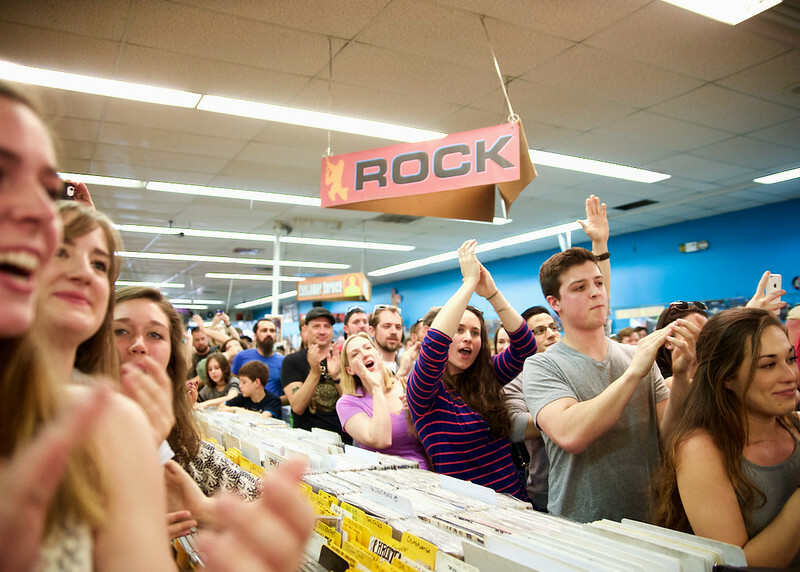 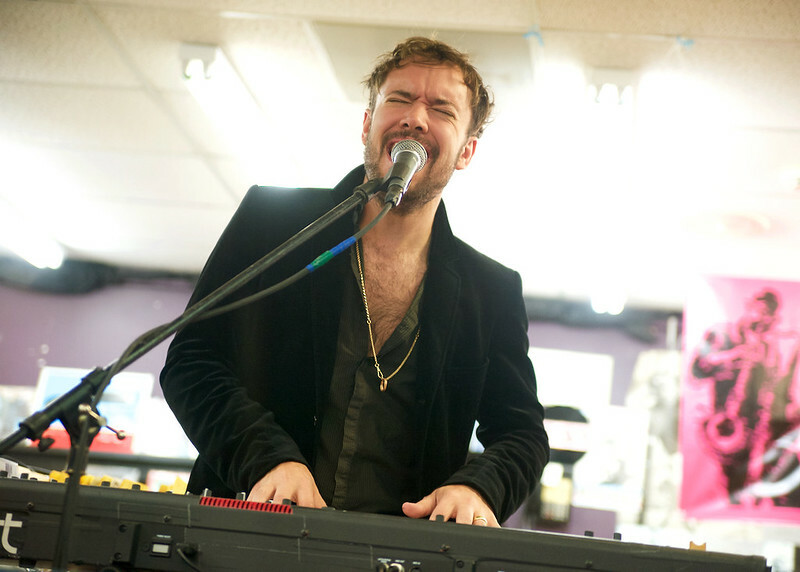 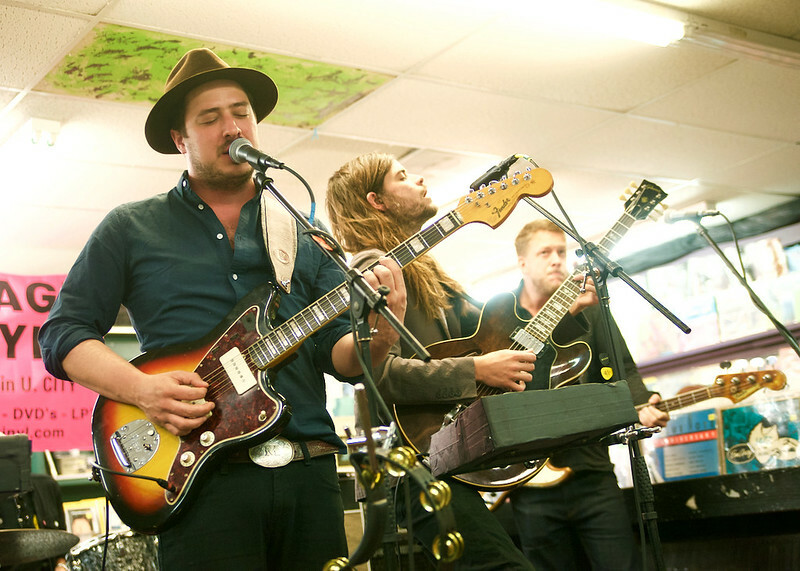 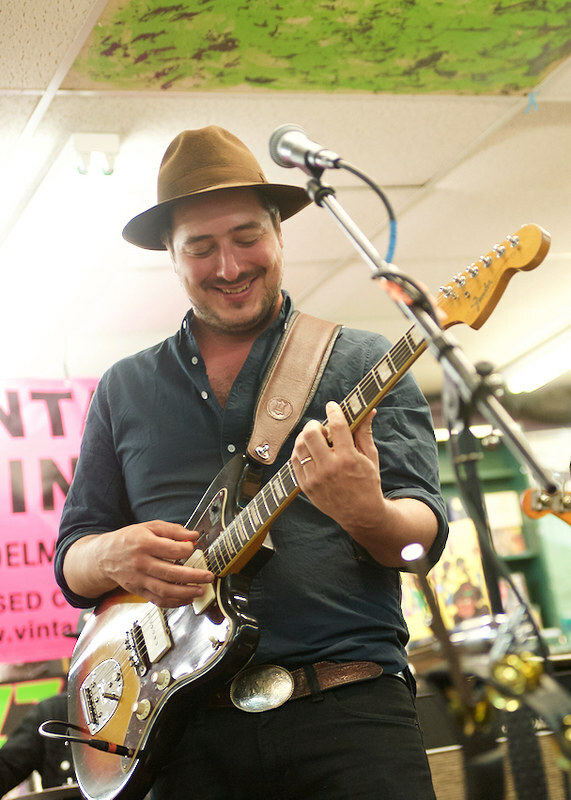 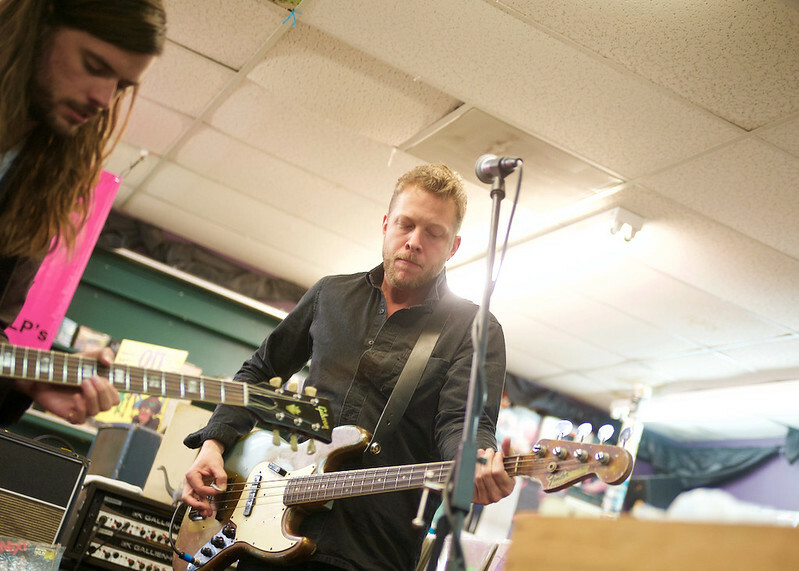 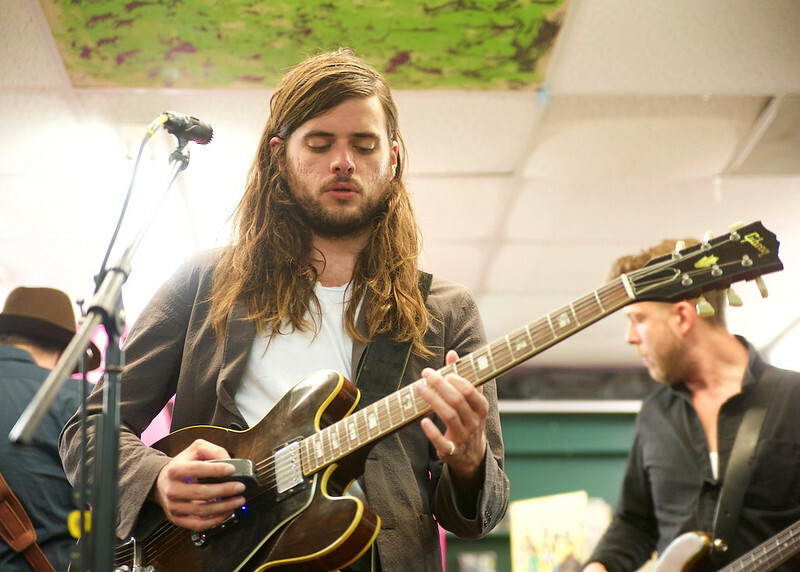 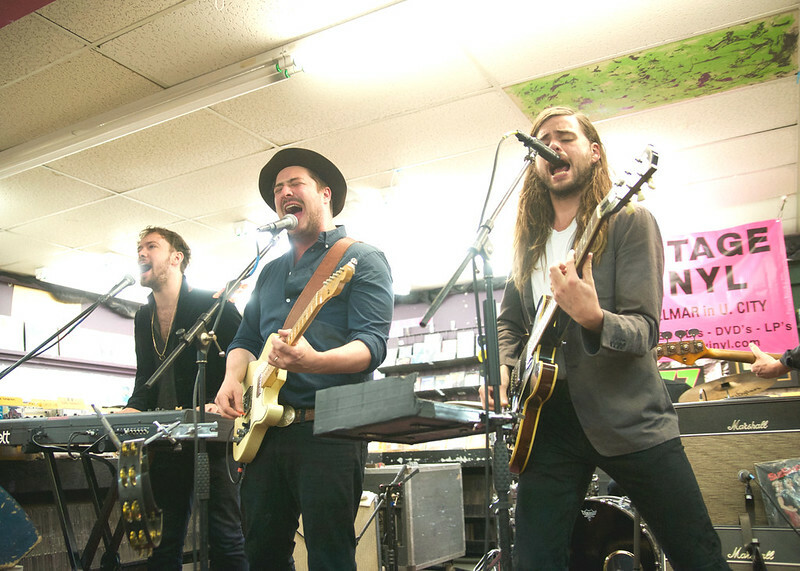 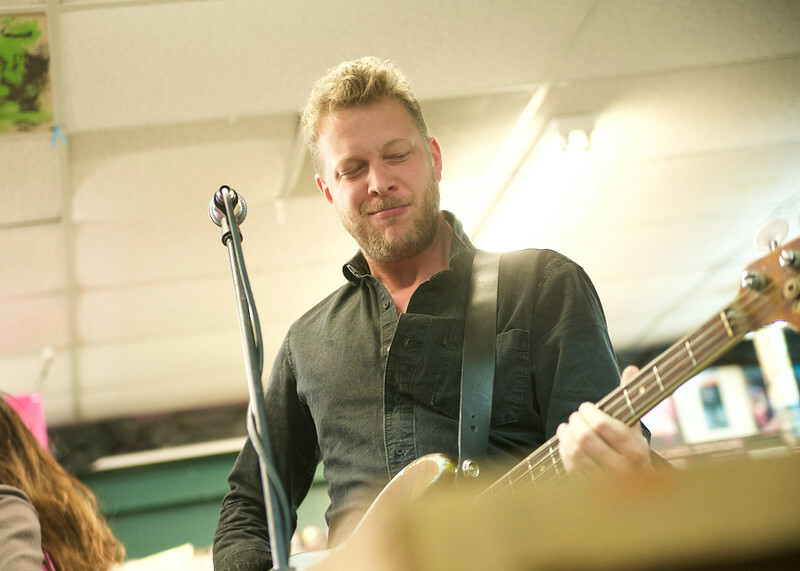 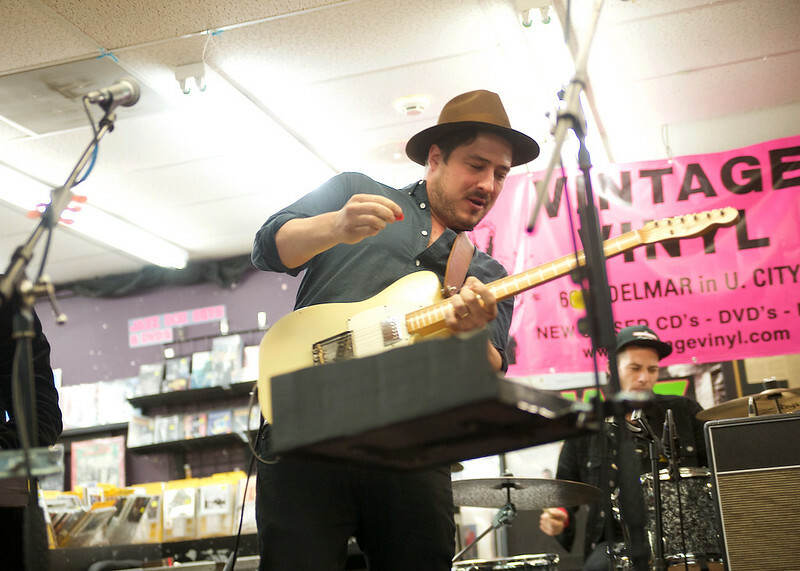 To celebrate their Record Store Day release of “There Will Be Time” (w/Baaba Maal), Mumford & Sons and 300 lucky fans filled out Vintage Vinyl for a rousing four-song performance. 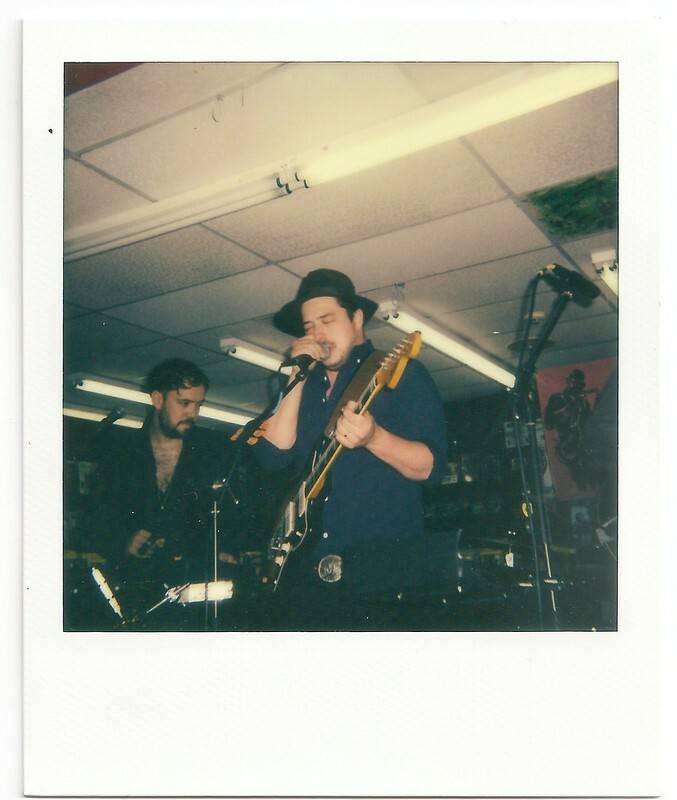 Back when it was announced, I was anticipating a scaled-back acoustic session, but I have to give huge thanks to Mumford’s crew and the store for blowing away those expectations and delivering what has to be one of the biggest events in this record store’s history. 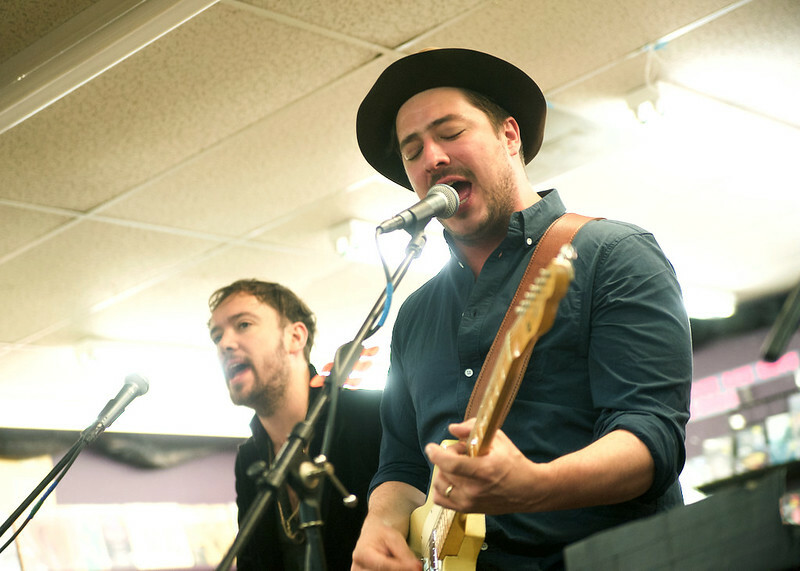 The store also featured an entire day of live performances from various St. Louis acts and we’ll be back in another post to wrap up the rest of what I saw, but in the meantime, enjoy some photos from Mumford & Sons‘ set. 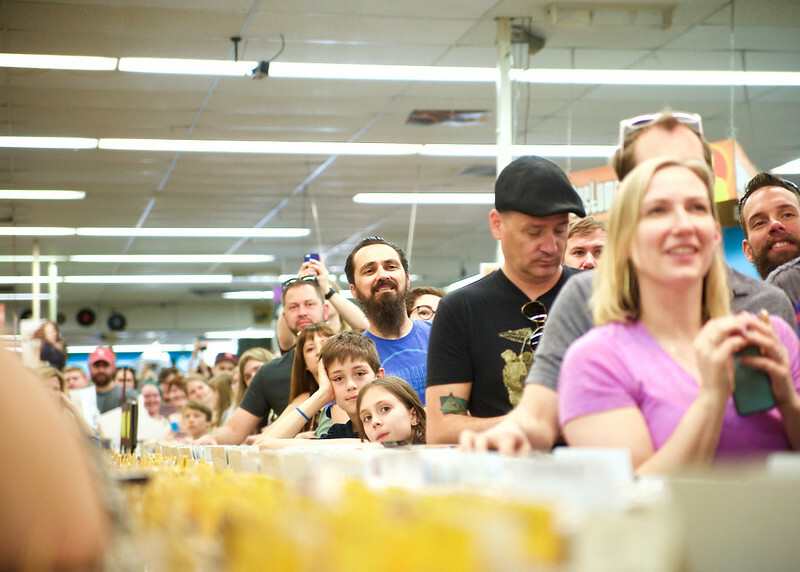 Also definitely can’t give enough praise to Jim Utz who’s been the brainchild of these events over the last 25+ years at Vintage Vinyl, who’s moving on to greater things in the STL music world and sure picked one great way to drop the mic.